A Cleveland native, Bill Phillips grew up with a love of the outdoors and sports. After a successful career as a student-athlete at the University of Evansville, Bill went on to attend graduate school in England at the University of Oxford and later earned his law degree from Georgetown. Bill’s love of the outdoors led him first to Alaska, where he started his commercial fishing business. A job with Senator Ted Stevens brought Bill to Washington, where he would eventually meet his wife Janet, and raise the couple’s four boys: Andrew, Colter, Paul and Willy. After leaving the Senator’s staff, Bill remained close with Stevens and involved in the world of politics. Although he had an extremely successful career, his biggest passion was his family. His three oldest sons followed in their father’s footsteps to play college football: Andrew at Stanford, Colter at Virginia and Paul at Indiana. Willy enters his junior year at Georgetown Prep this fall. In the wake of his death in a tragic plane crash in Alaska, Bill’s family established the Bill Phillips Memorial Fund (formerly the College Athlete Emergency Assistance Fund). The Fund offers an opportunity for those who wish to honor Bill to contribute to a worthy cause in his name. The funds raised are used to offer assistance to collegiate scholar-athletes, members of the military and others affected by tragic circumstances or challenges. SPC (Ret.) Jose Sanchez- SPC (Ret.) Sanchez, who is from Hoboken, N.J., enlisted in the Army in 2007 and served two tours in Afghanistan with the 10th Mountain Division out of Fort Drum. Injured by an IED during the second tour, he lost his vision and suffers from PTSD. SPC (Ret.) Sanchez is transitioning to civilian life with his wife, Mindy, and the grant was made in part so that he can purchase a computer and pursue his goal of going to college. HM3 Kenneth Swartz- Severely injured by an improvised explosive device while serving in Afghanistan in October 2010, Petty Officer Swartz is now a full-time student at Georgetown University and was honored at the 2015 DC Touchdown Club Awards Dinner. While he is busy with schoolwork, he continues to give his time and is actively involved in local wounded warrior events and activities. With the help of Funjet Vacations, the Fund sent several wounded warriors and family members on a relaxing getaway to Cancun in early 2015. Recipients including SGM James McGruder were recognized on the field during the 2014 Military Bowl presented by Northrop Grumman. Irish Family- With the tremendous help of USO-Metro and Oakwood Worldwide, the Bill Phillips Memorial Fund was able to assist wounded veteran Michael Irish and his family with an out-of-state move complicated by an unexpected housing delay. The family was settled into cost-free temporary housing as they prepared to move into their new home in Ohio. In addition, the Fund helped furnish their new home. 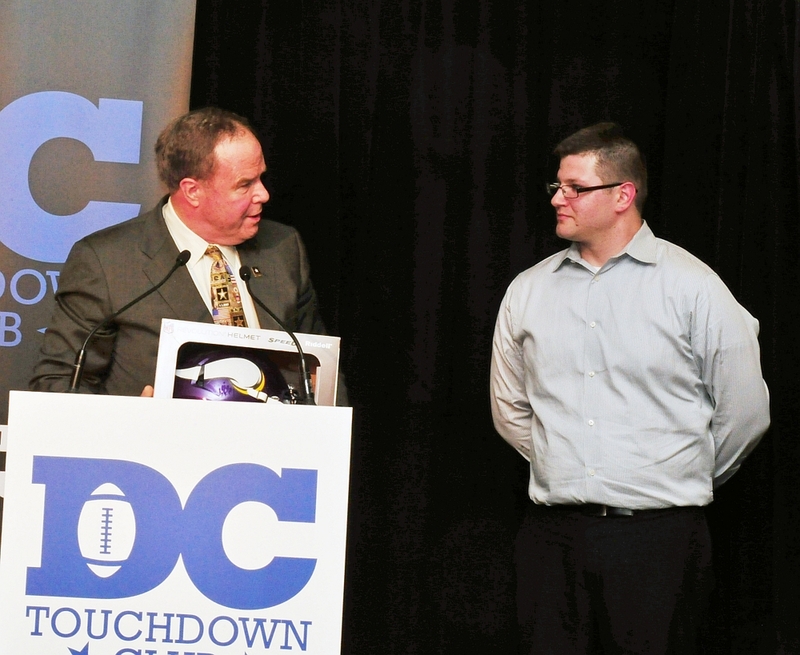 SFC Jon Smith- Sergeant First Class Smith was surprised with a grant at the 2014 DC Touchdown Club Awards Dinner, recognizing his service not only to his country but to his fellow wounded warriors as well. SPC Shenae Mitchell - Severely wounded while serving in Afghanistan, Specialist Mitchell is completing college coursework while recovering from her injuries and plans to continue serving in the Armed Forces. 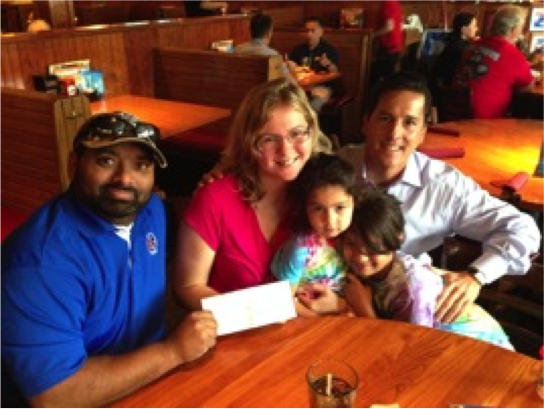 The Fund was honored to provide her with a grant as she plans her upcoming wedding. 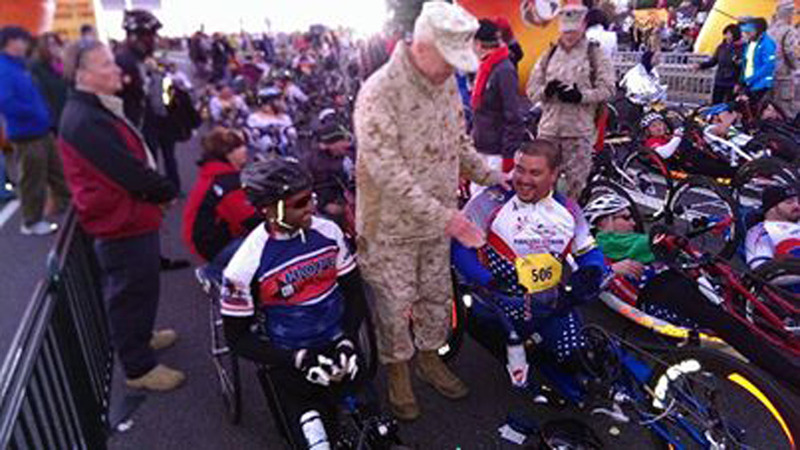 SSG Joe Beimfohr- Staff Sergeant Beimfohr competed in both the 2013 Army Ten Miler and Marine Corps Marathon. The Fund arranged lodging for the double-amputee handcycler for the duration of his stay. MSG Sharlinda Warner- Master Sergeant Warner, who developed auto-immune disease and lupus while serving in Iraq, was given a treadmill. This will allow her to exercise without leaving her home. 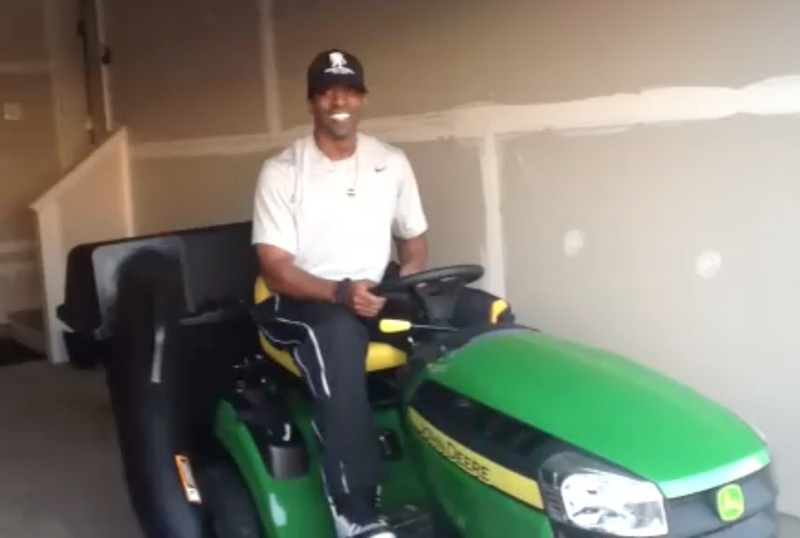 SSG Paul Roberts- Staff Sergeant Roberts, who suffered serious burns on the back of his legs while serving in Iraq was presented with a lawn tractor. SPC(R) Robert Murafsky- A grant from the Bill Phillips Memorial Fund and a signed helmet from Minnesota Viking Jared Allen were presented to SPC(R) Murafsky. He lost his right eye when he was shot while on duty in Iraq in 2006; today he works as a security specialist at the Pentagon and is very involved in helping other wounded warriors. SFC Garie Price- SFC Price has courageously battled ALS. 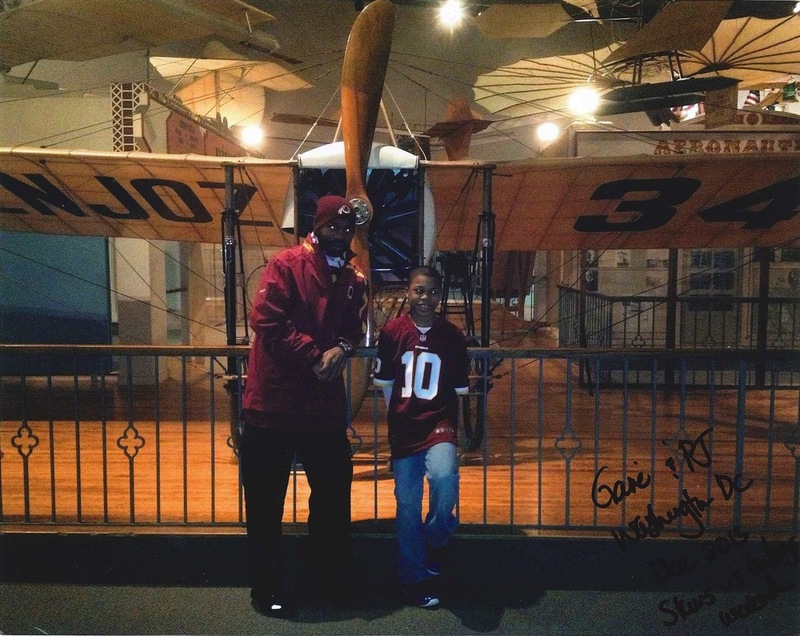 The fund assisted in arranging a trip to D.C. for the Army SFC, his mother and son, to attend the 2012 Redskins vs. Cowboys game. This included hotel arrangements, field passes and a luncheon with RG3’s mother. CW2 Jonathan Holsey- CW2 Holsey was the first amputee to be accepted into the U.S. Army Warrant Officer Candidate School. The Fund assisted with costs for CW2 Holsey’s trip to Washington, D.C. to run in the 2012 Army Ten Miler. Lance Cpl. Timothy Donley- Double amputee Lance Cpl. Donley received a grant from the fund at the 2012 Medal of Honor reception. 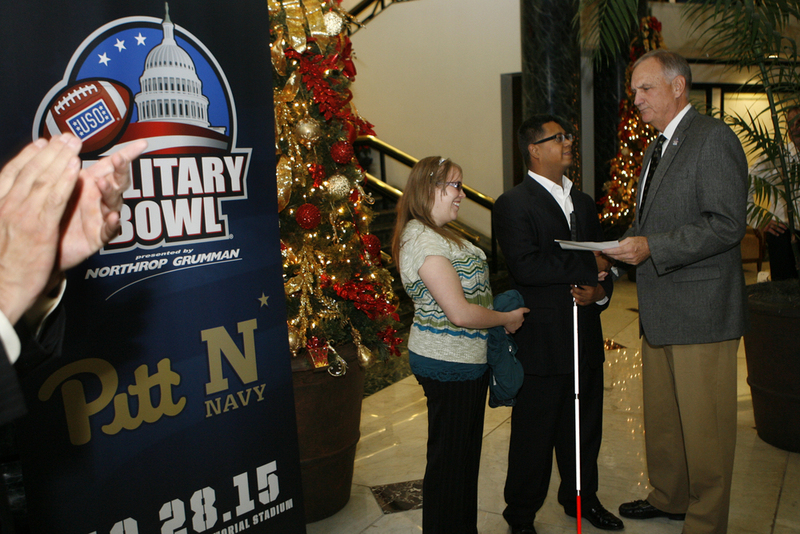 He also attended the 2012 Military Bowl with his family.